I haven’t made much progress on the olive cardigan this week, partly because I went wrong, and had to rip back quite a few rows, and partly because I’ve started a couple of new projects. 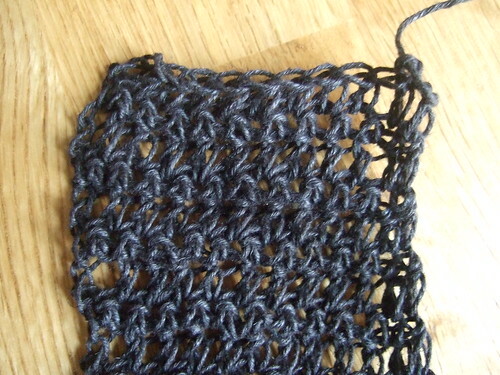 … but after washing it softened up, and the drape improved considerably. 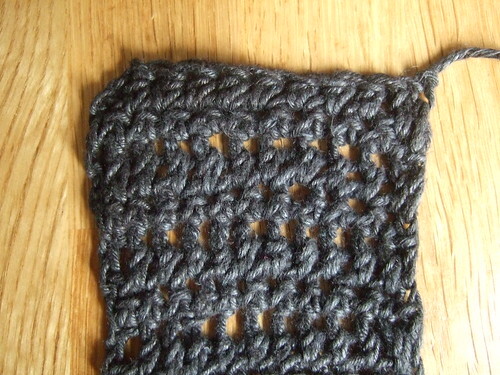 I’ve written a rough pattern, and will post progress photos as I go along. 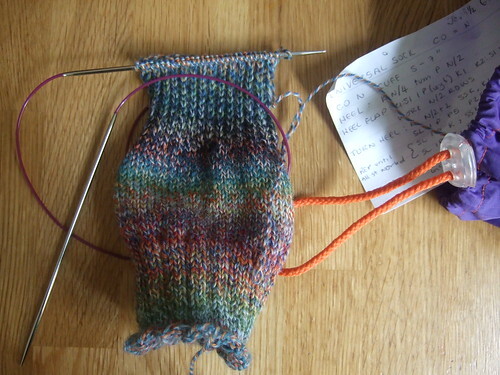 I’ve also started yet another pair of socks. In this picture you can also see my little index card with my basic sock pattern instructions which I have attached to my sock bag. I really enjoy having a pair of simple stocking stitch socks on the go -they’re easy to travel with and require minimal concentration!